Winter is just around the corner and living in Utah’s high desert with its cold, dry air often means dry, flaky skin. 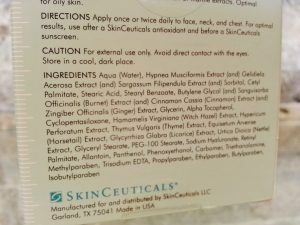 But…Is it really the environment that causes your dry skin? Utahn’s spend millions of dollars every year to combat effects of thirsty skin, but the best medicine might be FREE and flowing from every tap in your house. “The skin is an organ, and just like any other part of the body, your skin is made up of cells which are made up of water,” said Miki Eberhardt, a local Registered Dietitian. “If your skin is not getting a sufficient amount of water, the lack of hydration will present itself by turning your skin dry, tight and flaky,” she said. “Dry skin has less resilience and is more prone to wrinkling. When your skin cells are properly hydrated, it will give you a radiant, healthy, and younger-looking complexion,” Eberhardt, said. 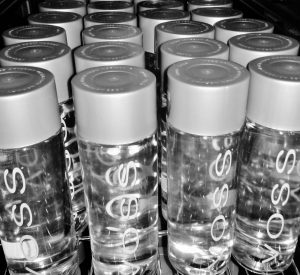 Experts say drinking plenty of water AND using water-based lotions, especially during winter months, is an effective approach to regulate moisture inside the skin and keep it looking its best. You can also consider services, like our Organic Sugar Scrub to restore your skin’s glow. “Don’t let a minute pass after your shower before applying a good lotion as a protective barrier for your skin, especially during winter months,” said Doctor Mike Johnson, a practicing physician in Herriman. 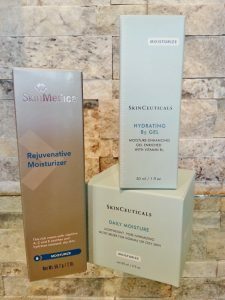 Revivology shares a full-line of Skin Care Products in Utah related to giving skin the extra boost it needs to resist dryness especially during harsh winter months. Come in and see the estheticians at Revivology. They’re experts at knowing just the right products to recommend based on your lifestyle, skin type and climate zone. Schedule an appointment with our experts to plan a proactive winter skin care regimen and have a facial BEFORE your skin gets dry tight and flaky.